FBI studies of mass shooters in the United States have found some commonalities among attackers when it comes to gender, race, age, marital status and state of mind. 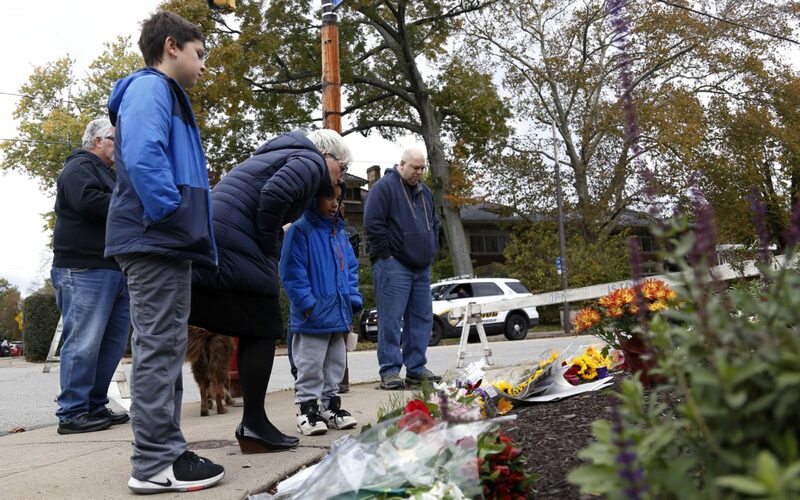 But there’s another common, and somewhat startling, detail about the backgrounds of two people who have committed mass shootings in the Pittsburgh area. Both Robert Bowers, who killed 11 people at the Tree of Life synagogue on Oct. 27, and George Sodini, who killed three women and himself at the Collier Township LA Fitness in 2009, attended Baldwin High School. Baldwin-Whitehall Superintendent Randall Lutz confirmed Bowers spent most of his school years in the system. He attended McAnnulty Elementary, but left for awhile to attend a private school. He returned to attend grades 6-8 at Harrison Middle School, then entered Baldwin High school in the fall of 1986. He withdrew in November 1989, the fall of his senior year. It’s unclear if he graduated from another high school. Sodini started in the school system in eighth grade at Harrison Middle School in 1974-75. He then attended ninth and 10th grades at Whitehall Junior High and 11th and 12th grades at Baldwin High School. He graduated from the high school in June 1979. People who study mass shooters say their shared school is a likely coincidence — the men were 10 years apart — but there are other more meaningful markers they share. The FBI studied a group of 160 mass shooters from 2000 to 2013 in an effort to try to determine a specific profile. Of the 160, the FBI focused deeply on a subset of 63 by studying law enforcement reports of the incidents and suspects. The findings were released in a report in June. The FBI defines a mass shooting as one in which four victims are killed at one event in one or more locations within close proximity. The clip at which mass shootings are occurring in the United States is rising. Just 12 days after the shooting at the Tree of Life synagogue, Ian David Lang, 28 and an ex-Marine, shot and killed 12 people at a bar in Thousand Oaks, Calif. The FBI report noted that in 2017, there were 30 separate active shootings where an individual killed or attempted to kill people in a populated area in the United States. It was the largest number ever recorded in one year. Other agencies and news outlets report higher totals because they include any shooting in which multiple people are killed or injured by a single gunman. Of the group of 63 mass shooters: 59 were male, two-thirds were white and the largest group was between the ages of 40 to 49. Also, 56 percent were single and 40 percent purchased their firearms legally. Both single white males, Bowers is 46 and Sodini was 48 at the time of his attack. By the FBI definition, Sodini would not be considered a mass shooter because the number of his victims was one shy of four. The FBI analysis also found the majority of shooters purchased their guns legally as was the case with Bowers. Sodini also purchased his guns legally through an online vendor. The FBI study group of mass shooters had “very limited history” of criminal convictions. 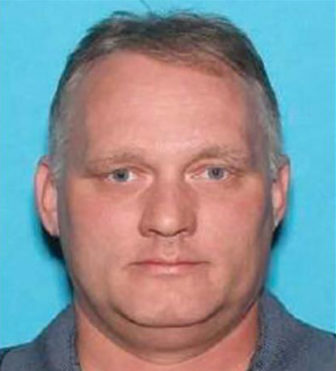 Bowers had no criminal record before the synagogue shooting. He pleaded not guilty to the shooting. Police had received an unsubstantiated report that Sodini was holding a grenade about a week before his attack, but otherwise had no record. Mental health issues including depression, anxiety and paranoia were found among the 63 shooters, but only 25 percent had diagnosed mental illness prior to the attack and only three cases involved a psychotic disorder. The study failed to come up with a profile that was definitely predictive of a mass shooter. An analysis of mass shootings by Mother Jones found similar data as the FBI. “You can’t put one mindset into minds of mass casualty shooters,” said Jeffrey Simon, a security consultant and visiting lecturer in the UCLA Department of Political Science and an authority on terrorist attacks in the United States. Jonathan Metzl, a professor of sociology and psychiatry and the director of the Center for Medicine, Health and Society at Vanderbilt University, said retrospective looks at mass shooters generally confirm that it would have been hard to target them ahead of time. 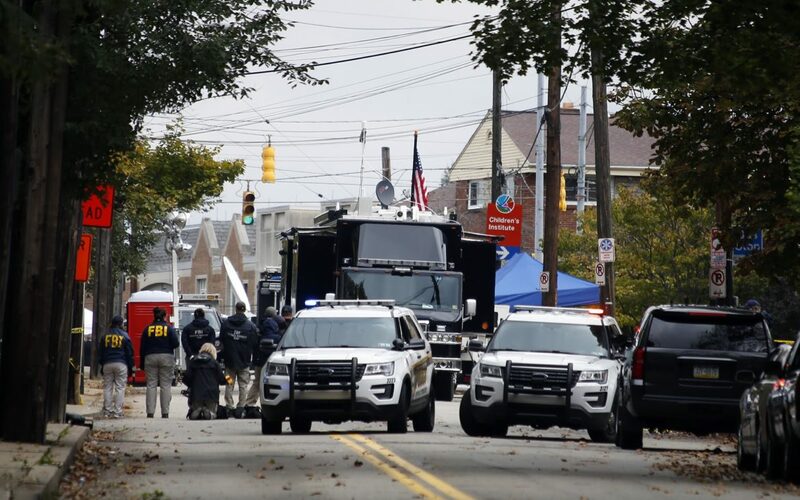 “They hadn’t come to the attention of authorities, they had permits for firearms, there was no clear mental illness history and they hadn’t committed any crimes in the past,” Metzl said. The FBI report stressed there is an important distinction between someone who has a mental health disorder such as depression, anxiety or paranoia, and those who are diagnosed with mental illness. “Active shooters were typically experiencing multiple stressors in the year before they attacked. They can have mental health issues but not be mentally ill. It can be conflict with friends and peers, financial strains, marital problems or illicit use of drugs or alcohol,” said Simon, who is familiar with the FBI report. “They can have personal grievances and target school or workplace... or like Dylann Roof who picked a target where African-American people went to church,” Simon added. Roof pleaded guilty to killing nine black worshippers at the Emanuel AME Church in Charleston, South Carolina, in June 2015. He is on death row in a federal prison in Indiana. For Sodini, it was his perception that women perpetually rejected him that caused his shooting rampage. Even when it comes to people with mental health disorders who are engaged in hate speech online or otherwise, there are no predictors as to who will commit violence, the experts said. “There are thousands and thousands of people who do that and don’t commit violence,” Metzl said. For a research paper published in 2015 titled “Mass Murder, Mental Illness, and Me,” Stone studied 340 mass murderers from the turn of the century to present day and found results similar to what the FBI study found: About 22 percent could be considered mentally ill and “very few” were psychopaths. Similar to the FBI report, Stone’s study made a strong distinction between mental health issues and diagnosed mental illness. “Many mass murderers are paranoid, but they are functioning. It’s a psychiatric disorder but not a mental illness,” he said. Stone said mass shooters often have mental health issues and then suffer a rejection, which prompts the violence. But, he said, others like Bowers are motivated by bigotry, noting that anti-Semitism dates back to Nazi Germany. Bowers posted anti-Semitic and anti-refugee messages on the site Gab.com before he attacked the synagogue. He cited national refugee assistance group HIAS, which held a National Refugee Shabbat event a week before the shootings. Dor Hadash, one of the three congregations that held services at Tree of Life synagogue, had participated in the HIAS event. The online world is a place where some people who isolate themselves can “find camaraderie with other paranoid bigots,” Stone said. Simon, author of “Lone Wolf Terrorism: Understanding the Growing Threat,” said the internet is a “game changer” when it comes to hate crimes. Simon said the difficulty is knowing when the hate speech will turn to violence. Experts in trauma care differentiate between sudden violent events, such as the Tree of Life shooting, and chronic forms of violence, such as war zones or ongoing gun violence within neighborhoods. In Pittsburgh, chronic gun violence occurs in some neighborhoods, but not others, and that trauma is disproportionately carried by the city's black communities. The Tree of Life shooting devastated all of Pittsburgh. I can’t help but ask: Why aren’t Black lives mourned this way? Yes, the entire community should grieve over this tragedy. But why is there such a double standard? If all lives matter, why aren’t Black lives mourned this way? I felt isolated by these thoughts and wondered if I was alone.